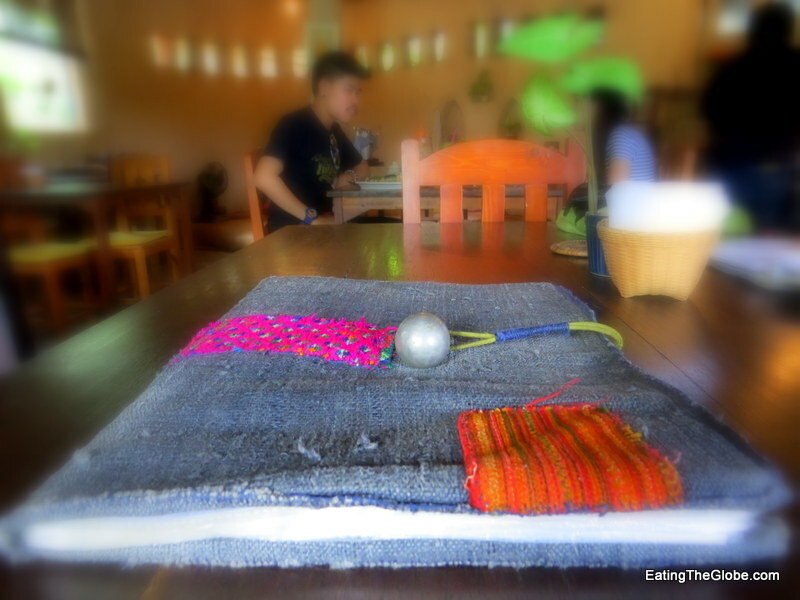 The minute I encountered Cafe DinDee in Chiang Mai, Thailand, I was charmed. 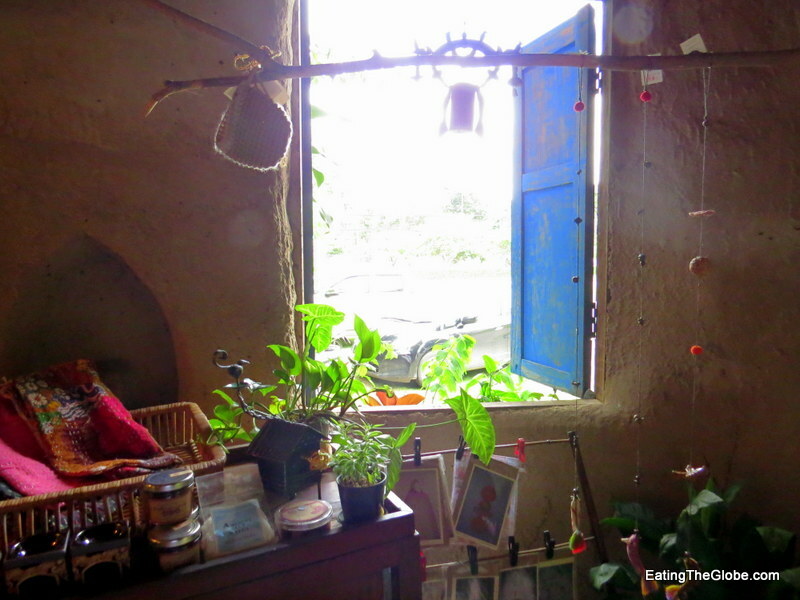 I was enchanted by the mud hut, the garden surrounding it, and the whimsical playfulness of the atmosphere. I was even charmed by the menu. 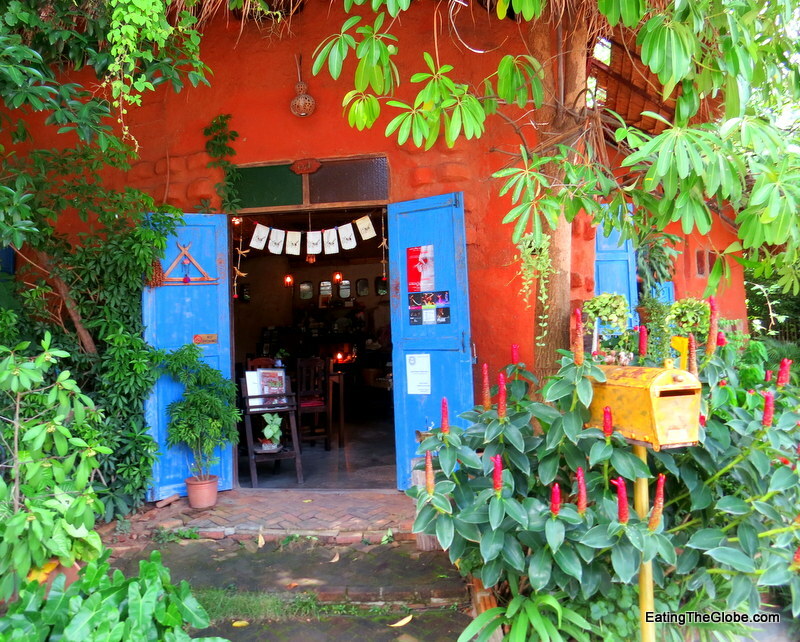 This haven offers healthy vegetarian and vegan food, herbal juices, and tea. It’s Japanese-owned, and offers a nice variety of food on the menu. 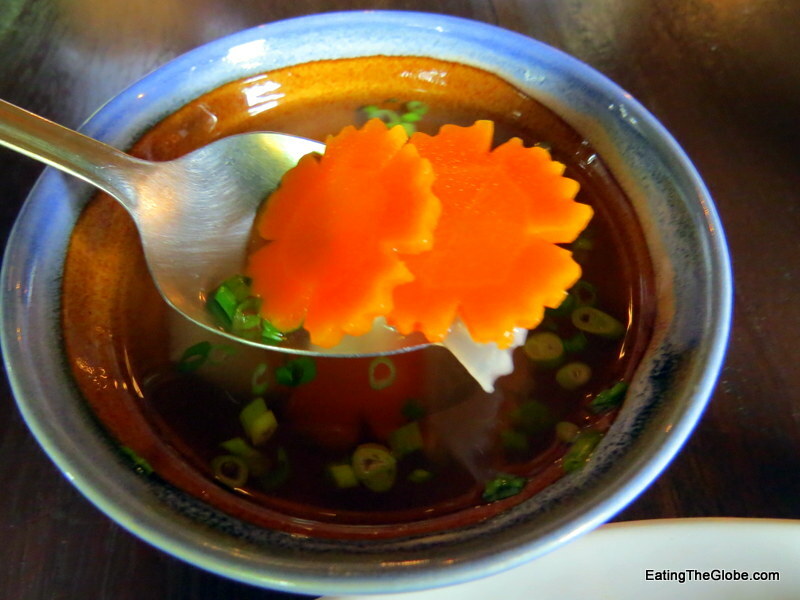 It’s a great place to go if you are in search of a meal in Thailand that doesn’t include MSG. I enjoyed an Indian spiced curry made with kidney and garbanzo beans and garam masala. It was served with brown rice and soup. It could have been spicier for my taste, but it was delicious. They also had a lot of interesting salads on the menu, including one that was even made with gotu kola leaves (also called pennywort). Gotu kola increases the brain’s capacity and has often been called the elixir of life. 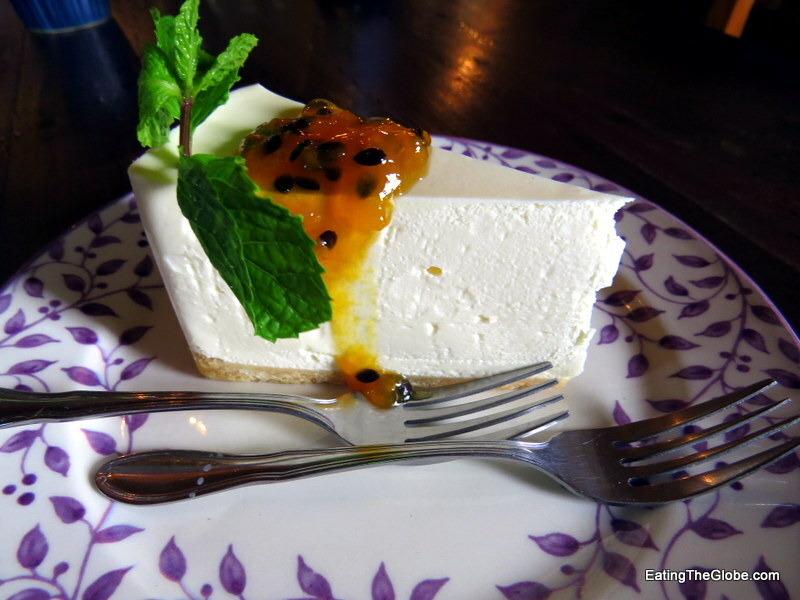 Whatever you do, save room for the passion fruit cheesecake. I had the unbaked version, but they also have a baked version of their cheesecake. It was some of the best cheesecake that I’ve ever tasted. 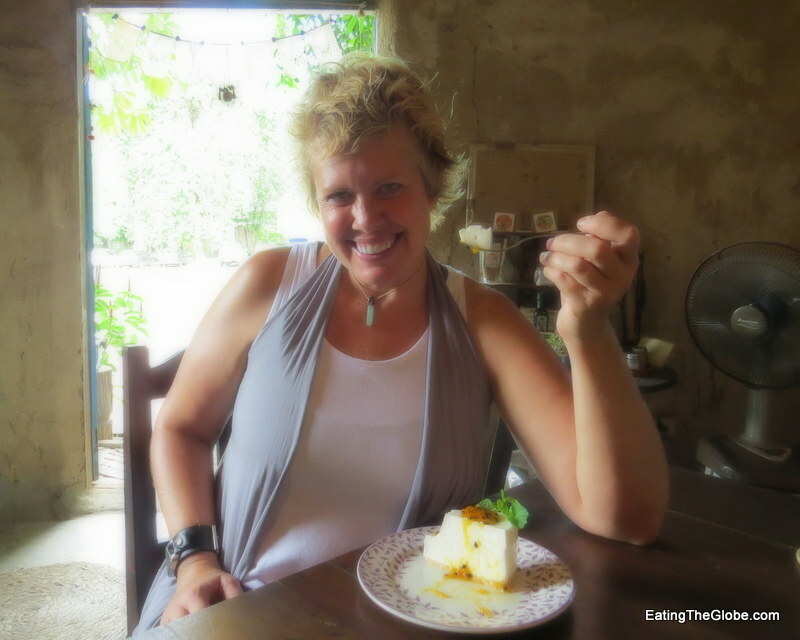 Creamy and velvety, and not too sweet, it completely satisfied my craving for cheesecake. Cafe Dindee also sells unique cards, jewelry, teas, and other handmade treasures. They also sell homemade bread on Saturdays at noon. 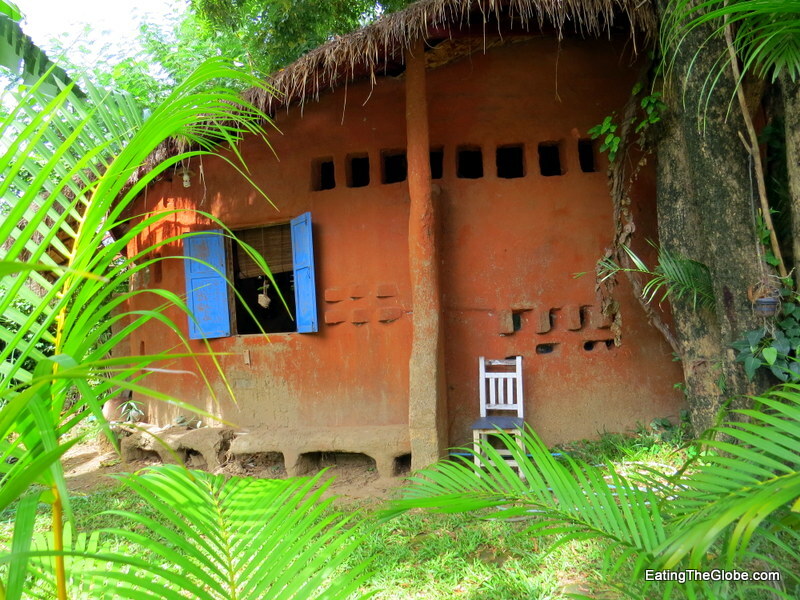 This mud hut sanctuary really is the perfect place to come with a good book to chill out for a while and just let the afternoon fade away. 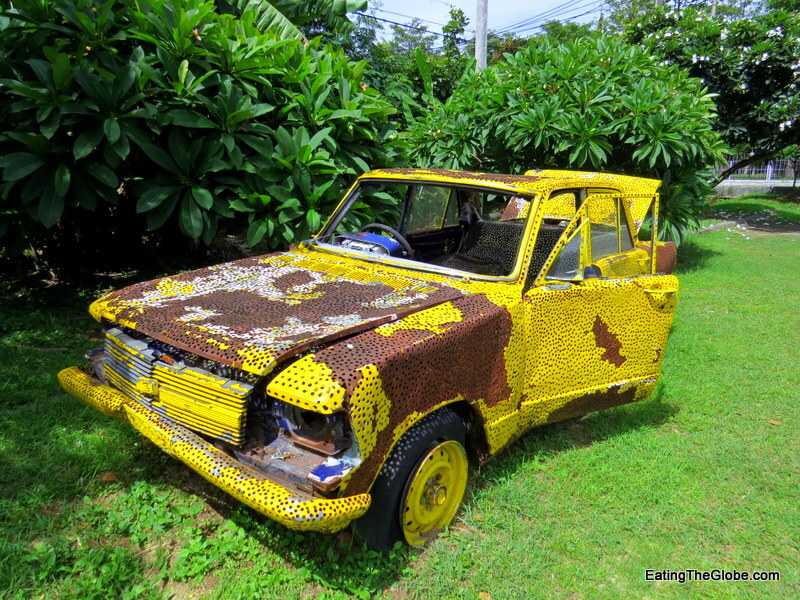 The café is located in the parking lot of Chiang Mai University Art Centre, so enjoy the Burning Man style art car installation on your way out. There is even moss growing in the car seats! Are you a vegetarian in Thailand? 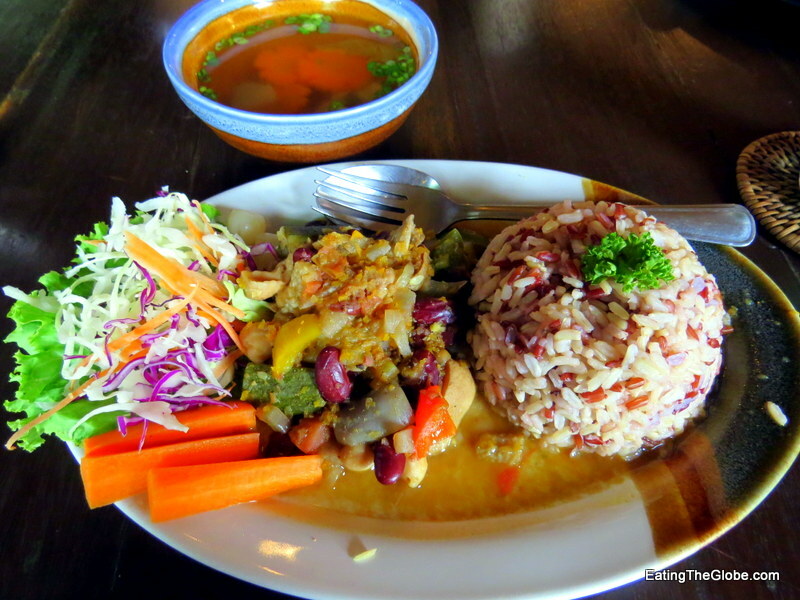 Check out this Vegetarian Thai Food Guide! 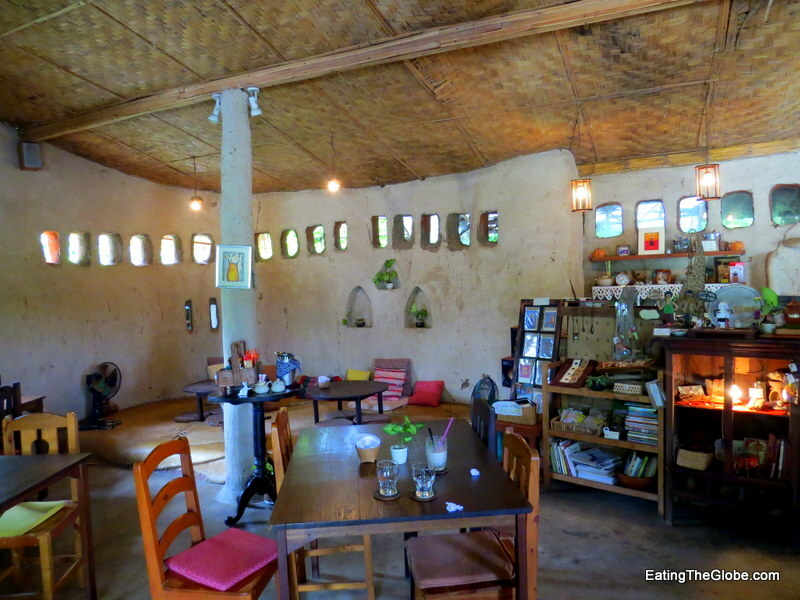 6 Responses to "Cafe DinDee: Vegetarian Dining In A Mud Hut-Chiang Mai"
Interesting looking place. 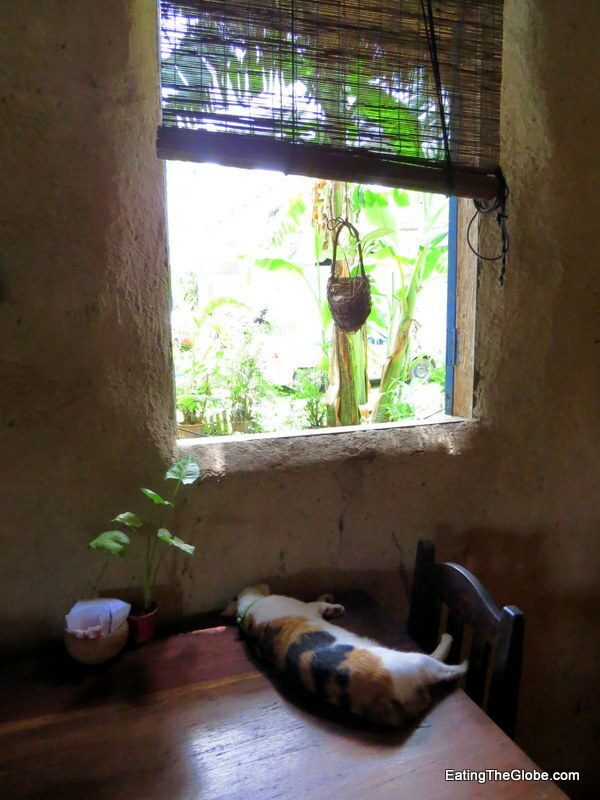 Love the cat that nicely ads the perfect touch to the design of the place. Yeah, that cat just made the whole atmosphere even better! Food looks great! Very cool it’s a mud hut and offers more than just food! Thanks for sharing! Val, stop teasing me with all of this delicious looking vegetarian food. You make me miss Asia every time! My wife and I loved this place so much. We even went there the morning of our wedding day. Greetings from San Miguel de Allende, where we’ll be sure not to get the phojita! Isn’t it amazing?!! Oh, I miss San Miguel, but not the phojitas! !